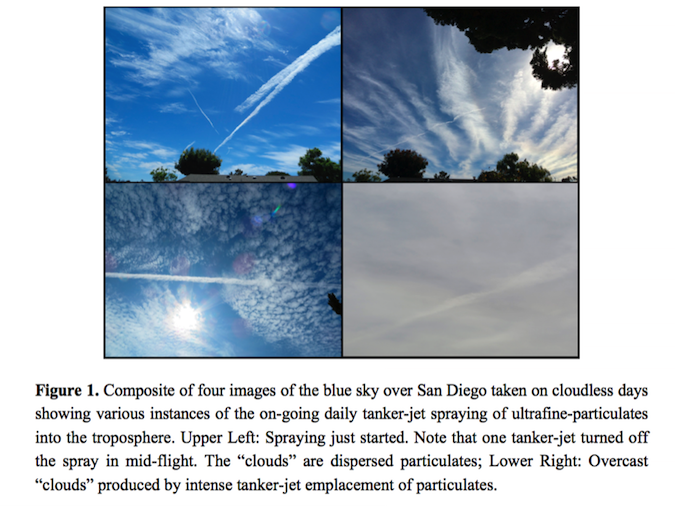 The new study published in the International Journal of Environmental Research and Public Healthtitled, “Evidence of Coal-Fly-Ash Toxic Chemical Geoengineering in the Troposphere: Consequences for Public Health,” offers a convincing explanation for what is behind the so-called “chemtrail” phenomena, revealing that the source material used to create artificial weather visible throughout the world is the extremely toxic waste material from the electric industry known as coal fly ash. 1) Because of its nanoparticle range sizing not only can it enter more easily into human tissue through skin, oral, or pulmonary contact, but it may also have greater toxicity due to its ability to mimic hormones and/or pass through cell membranes and altering nuclear programs to adversely alter cell phenotype. Disturbingly, the EPA recently ruled that coal fly ash is not to be considered a “hazardous waste,”2despite overwhelming evidence that contains dozens of compounds that individually present a serious enough environmental and human health risk to be classified and regulated as hazardous to health. When you consider that the EPA requires coal firing electrical plants to sequester the coal fly ash due to its known toxicity as a pollutant, the hypocrisy here is astounding. Of course, this ruling would protect those orchestrating the behind-the-scenes geoengineering agenda of using the electrical power industry’s toxic byproduct: millions of tons of coal fly ash, as a “beneficial” substance used to “combat global warming,” even though the end result is the same: releasing a highly toxic material directly into the troposphere. We already have examples of how this works. The private sector, like the aluminum industry, colludes with the government to take a highly toxic waste product like fluoride, and then lobby to have it legally mandated to be put into the environment and our bodies via fluoridation programs. Suddenly the industry responsible for concentrating and unleashing a substance that is not legal to dump into the environment due to safety concerns gets paid to have it dumped directly into our water supply which ends up in our environment and bodies. A highly toxic substance is simply re-purposed and rebranded as “therapeutic” when the profit motive is compelling enough to trump ethical and legal boundaries. As of 2005, U.S. coal-fired plants reported producing 71.1 million tons of fly ash, of which 29.1 million tons was reported reused for industrial applications.3 Were it not for this “recycling” the industry would be left with a billion dollar problem, not unlike the nuclear industry’s problem with nuclear waste. 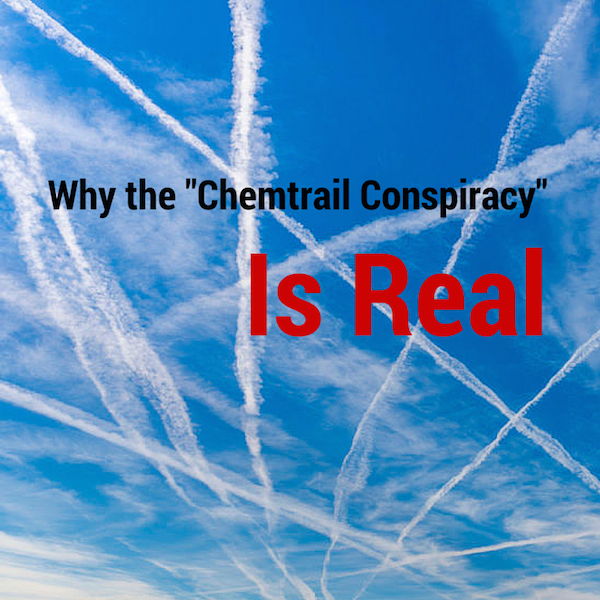 Therein alone lies a plausible motive for its use as a “geoengineering” ingredient, turning a liability into a profit center. While academicians debate geoengineering as an activity that might potentially be needed in the future [2,3], evidence suggests that Western governments/militaries moved ahead with a full scale operational geoengineering program. But instead of mining and milling rock to produce artificial volcanic ash in sufficient volumes to cool the planet, they adopted a low-cost, pragmatic alternative, but one with consequences far more dire to life on Earth than global warming might ever be, and used coal combustion fly ash. To make matters worse, instead of placing the material high into the stratosphere, where there is minimal mixing and the substance might remain suspended for a year or more, they opted to spray coal fly ash into the lower atmosphere, the troposphere, which mixes with the air people breathe and gets rained down to ground. More than a half century ago Rachel Carson called the world’s attention to the unintended consequences of herbicides and pesticides widely employed by agriculture. Instead of turning a blind eye, people everywhere became motivated to stop the worst of this environmental onslaught. Today we are fully aware of the vast interconnected web of dependencies and symbioses that comprise life on our planet. Earth exists in a state of dynamic biological, chemical, and physical equilibrium whose complexity far exceeds the understanding of contemporary science. The pervasive tropospheric spraying of coal fly ash threatens this equilibrium, whose delicacy or whose resilience we cannot quantify. Human health is at risk as is Earth’s biota. Are we to remain silent? Or will we exercise our primal right to speak in our own defense as a species and question the sanity of emplacing coal fly ash in Earth’s perpetually moving atmosphere? 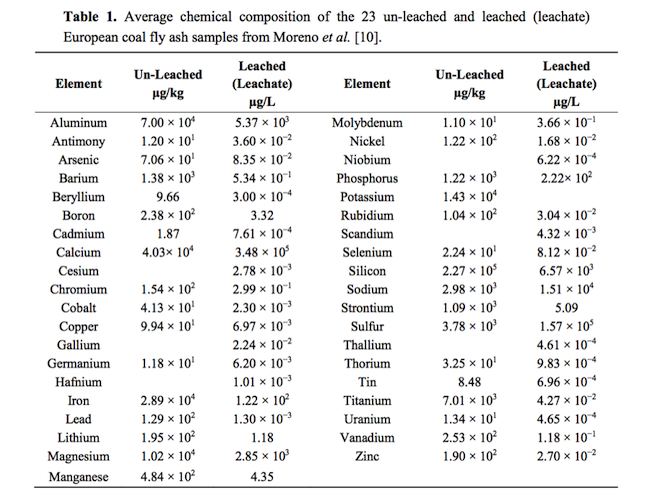 1 “Fly Ash in Concrete” (PDF). perkinswill.com. 2011-11-17. Retrieved 2013-11-19. Fly ash contains approximately one part per million of mercury. 3 American Coal Ash Association. “CCP Production and Use Survey” (PDF).